Companies use countless tactics to enforce fleet safety and promote positive driving behaviours but the question remains: are your drivers actually listening? Fleet safety is on the radar making management more sensitive to enforcing safety policies due to lawsuits or fleet-related fatalities caused by distracted driving. Safety is a growing concern within all industries and with advancements in technology, cars today are as safe as they can be. Equipped with crash avoidance systems, automatic parking control and other features there is no doubt that vehicles today have evolved and become much safer. Yet, as much as these systems are promising there is no better safety feature than the driver themselves. According to Automotive Fleet, 25-30 percent of all fleet-related accidents are a result of distracted driving; vehicle accidents represent about 14% of total fleet expenses. Although, these figures should probably be higher since it does not take into account additional costs such as downtime, lost employee productivity and liability exposure. It does show that distracted driving can in fact become a nuisance for fleet companies. It is already established that companies regularly send internal newsletters with tips and strategies about safe driving. A few even have fleet management software to encourage positive driving habits in real time but a more compassionate solution to fleet safety might just be getting to know your drivers. Fleet management software comes close to resolving the problems with encouraging positive driving behaviours but teaching might bring forth different results. Informing your drivers about the benefits of fleet management software’s and sharing savings should be distributed to all staff members so they feel motivated. Some drivers might just see the solution as a device that monitors their driving behaviours instead of a beneficial solution; it’s important to be clear about how the company plans to gain from this change with greater profits or reduced costs before actually implementing the solution without their knowledge. It is important to make drivers feel like they are an added value to your organization and the best way to minimizing distracted driving is to make sure your drivers feel important. This will require a period of induction training coupled with on-going development; but by making an investment in your drivers, you’ll be demonstrating respect and appreciation and this often goes a long way. Training programs can include driver development processes; a good example would be graduate certificates from bronze to silver to gold standard drivers. 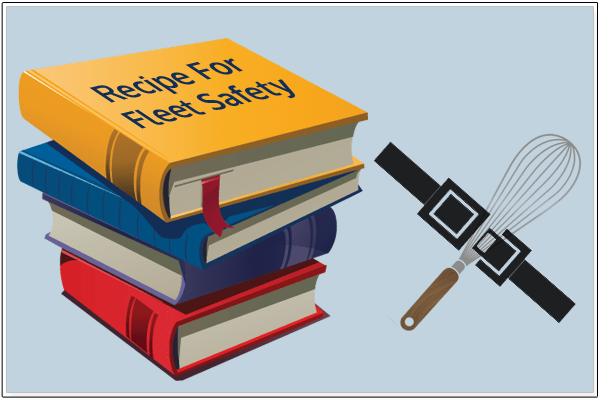 The progression can be award based on training level completed to complement fleet safety. Communication is always key and although safe driving is a known fact it is important to reiterate the significance of safe driver behaviours and how positive habits can help reduce costs but more so minimize the number of collisions in the first place. Making your employees feel like they are part of the solution might give them a sense of responsibility. Safe driving recognition or incentive reward programs reinforce good driving performance. These programs can be generated within the company and awards can range from a monetary prize, gift certificates and newsletter announcements to appreciation gear. GoFleet’s telematics devices are capable of generating reports that easily rank driver performances (Driver Score Card Report). Giving your drivers a benchmark, and rewarding them for their improvements is beneficial, what gets recognized gets repeated.